Want to raise your media profile and get your message across? We can run an editorial campaign which will target your primary audiences and support your business goals, making the most of your positive stories and carefully managing any negative issues. We have 25 years’ experience of working with journalists – from the news, business, regional, local, professional and trade press to online media, TV and radio. We understand what journalists want, what makes a great media story and how to get it published. We can handle the media aspects of crisis situations to minimise the damage to your reputation. We also deliver spokesperson training to help you hone your skills in getting the most from journalist interviews. Get in touch to find out how we could run a media campaign for you. 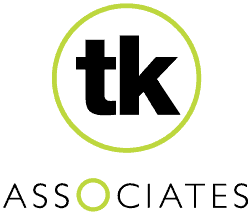 We’ve been delighted with the results of their media campaign, where TK Associates have actively promoted our messages across print, TV & radio channels. We've received much greater coverage than we expected. Their media results have been exceptional - combining local, regional and national coverage in broadsheets and news features.